John Witte Jr. has been named Robert W. Woodruff Professor of Law at Emory University. Photo by Bryan W. Meltz. Two faculty members of Emory University School of Law with international reputations in their areas of expertise have received named professorships recognizing their contributions in scholarship and teaching. John Witte Jr., acclaimed teacher, prolific scholar and director of Emory's Center for the Study of Law and Religion, has been named Robert W. Woodruff Professor of Law at Emory, the highest designation the university can bestow on a faculty member. Vice Dean Robert B. Ahdieh has been named the K. H. Gyr Professor of Private International Law, in recognition for outstanding achievement and teaching in international economic law, trade, commercial arbitration, financial regulation, business transactions, conflict of laws and other fields of international law. Ahdieh is among the world's leading scholars in international financial regulation and trade. His work revolves around questions of regulatory design, with emphasis on nontraditional modes of regulation. "I am deeply honored to be appointed the K.H. Gyr Professor of Private International Law," Ahdieh says. "At a moment when the stability of the global economy, trade relations with both Europe and the Pacific Rim, and questions of international financial regulation are all high on the agenda of U.S. policymakers, the importance of international law and regulation could not be more apparent." Ahdieh has been integral to Emory Law's recent partnerships with institutions abroad, including Shanghai Jiao Tong University, City University of Hong Kong and China University of Political Science and Law. He also guided formation of the law school's juris master degree program in 2012. The K.H. Gyr Professorship was established in 1987 by Emory Law alumnus Roland U. Straub to honor his grandfather, the Swiss industrialist and co-founder of Landis & Gyr. 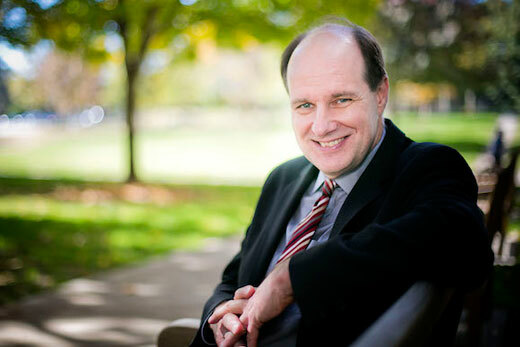 Witte, an internationally recognized legal historian and expert on Christian jurisprudence, marriage and family law, religious liberty and human rights, has spent the past 29 years breaking ground in the field of law and religion. Witte has delivered more than 350 public lectures around the world and is a regular keynote speaker at academic conferences. He has published 220 articles, 15 journal symposia and 27 monographs and anthologies, with five monographs under contract. His writings have been translated into 15 languages. "It has been my great fortune to spend my entire career at a university that provided the freedom, encouragement, colleagues and resources to blaze trails in the field of law and religion," Witte says. "We are really just getting started in this field. There are so many deep questions and hard issues to explore. I am immensely honored and blessed to do this work here with my wonderful colleagues and students – and with the support of a university professorship." Witte becomes the law school's fourth Woodruff professor. "The Woodruff professors are more than teachers and scholars of distinction; they serve a broad constituency that transcends individual departments and programs," says Emory Provost Claire Sterk. "As a leading authority on law and religion with an impressive body of scholarship, Professor Witte has earned a place among Emory's most distinguished faculty."